Today we was set a brief to work on for the day. As we were currently working on a group project making a future channel brand, we used these groups to come up with a logo design to represent the company’s identity. The area which we felt would be best for this project would be travel. We thought this because we felt that the area of travel had the most potential to be creative and allow us to research into future travel methods and allow use to take a futuristic approach to the brief. In the first meeting that we had the day before the one day project we had decided that we would be creating spoof type videos, that are similar to the GoCompare adverts, in that they would mock the brand but at the same time promote it. At first we started brain storming ideas for possible names that we could use. These included a range from IMpossible (suggesting the idea that something that used to be thought of as an impossible concept to now being re-identified as now a possible idea) and I’mPossible (to extend on our idea). After deciding on some on the name ‘IMpossible’ we then started creating some initial ideas of what we thought would promote the brand in an effective way to our target audience of young adults. 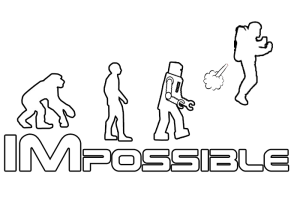 The initial idea for the logo was to represent the evolution on man from ape to robot, following on with a representation of future travel. 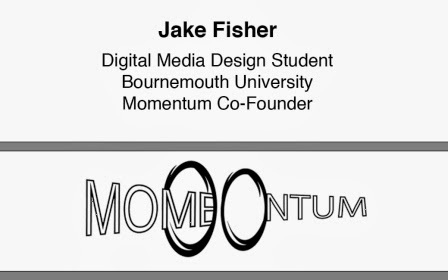 After a lot of thought , we decided to changed the name of the brand to ‘MOMENTUM’. We decided to do this due to the fact that we felt that the I'm Possible did not entirely suggest travel and we felt using a word such as Momentum does suggest movement and therefore links better. We also decided to have a change of the overall look of the logo design to represent futuristic transport methods. After several attempts we came up with a new logo which we thought would effectively promote the channel. The logo above is the logo we decided on for the 'Momentum' brand due to the fact that we felt that the logo suggested futurist transport. After we had decided on the finished logo we then put together somethings which the logo would be expected to go. Below are images for the logo in use on mock up business card and letter heads, along with merchandise (in this case a cup). Although we believed that we had came up with a good idea, when it came to presenting the idea to other peers they felt that we had gone one step to far. 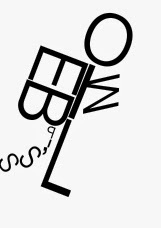 This is because they felt that the idea of I'm Possible was better and they felt that the logo idea that we had come up with (see below) was in fact better than what we had decided to go with. 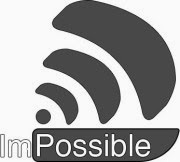 From this feedback me and the other members of the team decided that we would go with the I'm Possible brand and decided that we would fine tune the logo.